I’m a figure skating fan who wanted a place to share my opinions! Please comment and have a good time here! I love hearing other people’s point of views! Also, be warned: I am not a nationalistic figure skating fan so despite my Canadian citizenship, I do not automatically cheer for Canadian skaters. I judge skaters by their skating, not their nation and I try to avoid mentioning the skater’s nationality whenever I can. If you disagree with my opinions, go ahead and comment! I love a good *intelligent* debate. Hi there, I love reading your comments! Are you ready for the truth? Technical specialist at WC2012, Shin Amano is based in Canada and used to train Chan!! There, the ugly truth is out! That is why Chan’s overscoring, and it goes on and on as long as this greedy guy(receiving money from whom? Hey, it is too obvious!) is in charge of technical scoring, Chan’s gold guaranteed all the way to Sochi most probably. Is Chan aware of this fact, of course!! The sickning thing is this guy is Japanese! There’s no hope for anyone winning gold whilst Chan/Amano pair participate in any international skating competition. It is so unfair, it is sooooo ugly!! This truth should be spread everwhere!! Please help!! I no longer wish to watch figure skate!! A post is in the works but it may take a week or so since the next week will be terribly busy for me. I really love your blog and posts. Can I translate them into Vietnamese? That would be fine, as long as you link the article back to the original post. I always really enjoy your informative and profound views. It seems a little bit obsolite, but I posted Yuzuru’s new ANA ad here (http://bowandstrings.blog.fc2.com/blog-entry-52.html). He will be back to Japan next week. I am really looking forward to seeing his and some young talented new faces’ performances. Thank you so much for the post! I’m so happy that Yuzuru is getting this attention from the media. It’ll definitely help him in future seasons. I really enjoy your blog and opinions. I like now specially men’s figure skating (thanks to Yuzuru Hanyu) and I’m glad that you cheers for him too (in a fair way). I do love Canada (I lived in Vancouver for 4 months), but for any reasons I can’t like Patrick Chan as much. I totally agree with your analysis “Why he lost gold in Sochi”. He is good and his artistic skills are better than Yuzuru, however he is not humble. I totally don’t like his comments about Plushenko, about be in second and say that Yuzuru was not going to deal with the pressure to be in 1st (everybody was under pressure included him, well that was an Olympic game not a competition that you can have another chance next year). There is a video where the Japanese media asked Chan if the thought he was better than Yuzuru and he said Yes. I also agree, if he had a true coach and changed a little bit his strategy after GPF I think he could beat Yuzuru in Sochi. Thank you so much for your kind comment and for reading my posts! I honestly think Chan can be tolerable if he gets media training. He definitely needs to learn how to answer questions the politician way – give an answer without answering the question. That question about him being better than Yuzuru was just a lose-lose situation for him. If he said yes, we’ll think he’s arrogant, if he says no, we’ll think he’s lost his confidence and the judges but get wind of that and mark him lower. He probably should’ve just said that both of them worked hard and he looks forward to competing against him next season or something like that. Hi! I’ve been following figure skating ever since Vancouver and even then, I’ve only watched a few of the skaters who’ve caught my eye and subsequently touched my heart (Yuna, Mao, Meryl/Charlie, Tessa/Scott among others). Hence, I’m still not really familiar with the legends of the sport and their contributions to it aside from what you’ve written here. I agree with most of your opinions, and your insights help me understand figure skating a lot more. I wish to know more about the skaters who helped make figure skating the way it is now. I’m sure there are so many. And I want to ask if you have a list of the most memorable programs (even for purely subjective reasons). Thanks! Another round of look-alike? 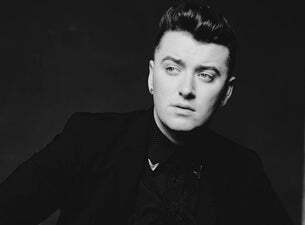 Sam Smith and Brian Orser would be a nice pair.